This is the first in a series of programs designed and intended to both entertain and educate the general public about the world of the paranormal. In this program we explore the basics of paranormal investigations. Starting with Terminology, Equipment, EVP (Electronic Voice Phenomena), Spirit Photography & Video as well as “ghost hunting” skills and suggestions. 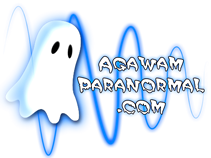 This program is also considered as basic training for any and all investigators on the Agawam Paranormal team. This presentation is updated annually. This is the second in the series and gets into more advanced subject matters. Here we will discuss topics such as Demons, Angels, Necromancy, Exorcism and Possession. Truly the darker side of the paranormal (minus the Angel part). While it is believed that only a very small percentage of paranormal activity (outside of Hollywood, that is) is caused by Demons or their like, it is undeniably a very popular topic with today’s public. Here we will try to remove fact from fiction and see just how it all ties together. I do caution though that this segment is designed for an adult audience and really is not suited for children. Also during this presentation we will be running a clinic for actual hands-on experience with some of the tools that we use on most investigations, including EMF meters. This presentation is also updated annually. These presentations are special requests from the individual libraries or other parties that are shorter programs than the “Ghostology” presentations and can cover completely different topics and discussions. The subject matter is supplied by the requesting party and can/will differ from event to event. Contact the hosting location for more details on these programs. Also at the discretion of the location, there may also be more hands-on time with the equipment similar to the clinics offered at the end of the Ghostology 201 presentation. This presentation shows how an investigation actually takes place, kind of. “A Mock Investigation” was done in a simulated environment with “tongue in cheek” effect. It is designed to give the audience the feel for paranormal work and some possible occurrences, based upon real cases and real client testimonial. Come see just what made Jeffery run screaming from the house!!! Lots of fun for all. “The Science of the Paranormal” program will attempt to show and then explain not only what we do during most investigations but also why we do it and why we do things the way that we do them. It will show how “intent” plays a large part in the investigation process too. For example, how going into an investigation with respect can significantly change the results. This presentation is based upon the experiences of the Agawam Paranormal team. Ghost Hunting: A Mock Invest. ALL OF THESE PROGRAMS WILL BE OFFERED AT YOUR LOCAL LIBRARIES, FREE OF CHARGE. COME ON OUT AND ENJOY. If you would like to have the Agawam Paranormal team conduct these presentations at your local library, simply have the library contact me to set-up the dates. Thank-You in advance and I hope that you enjoy these programs as much as my team and I have enjoyed creating them for you. NOTE: Team training will be announced separately and will not be posted here.